a local speciality from the glacial ecstatic Boulders of northern Germany. Glacial deposits of sand and gravel. Glacial deposits in situ. The last ice ages have shaped this landscape. The Sternberger is also sometimes referred as Sternberger Cake” because it Florentine biscuit like texture. The Steinberger is occurrence is highly localised. It occurs only in the vicinity of the small Town of Sternberg and Kobrow (Mecklenburg-Vorpommern). However it is also sparsely known from Schleswig-Holstein and in northernmost part of Lower Saxony. The scientific history of the Sternberger dates back in the early 18th century. 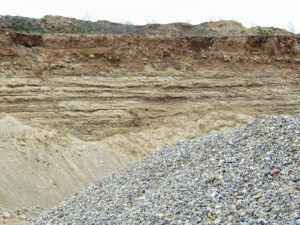 Today the main exposures are in the Gavel mines of Kobow near Sternberg and Pinnow near Schwerin. 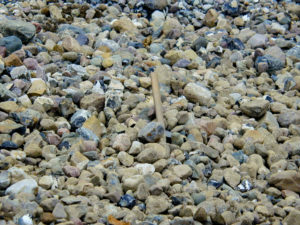 Due safety and liability issuers the access to the gravel pits is strictly regulated by the owners. The access is prohibited without permission of the mining companies. 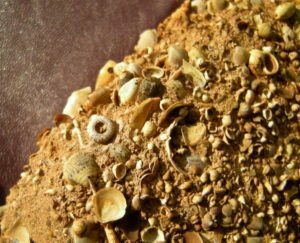 Also the heterogeneous distribution inside the glacial sand and gravel deposits of the region makes the find situation more difficult today. So the quantity of Sterberger finds is decreasing over the last years. So Sterberger becomes more and more rare. 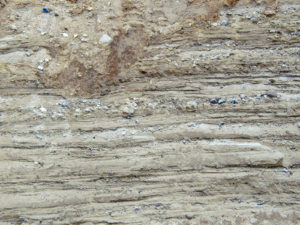 Petrographicly is Sternberger a fine sandstone with a low ammont of Glauconite and a Calcite cement. 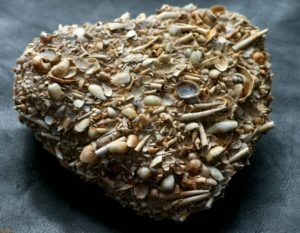 Sterberger is only been found as lose, usually fist sized pebbles. However the size can differ between a few cm to more than 30 cm. The colour shows also different variations over servile stages of weathering from pale gray to a dark brown. 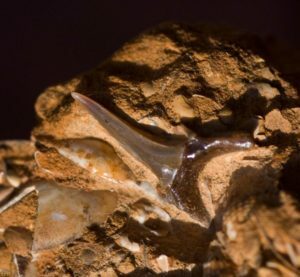 The Steinberger tends to disintegrating in later weathering stages as the carbonate cement is washed out. 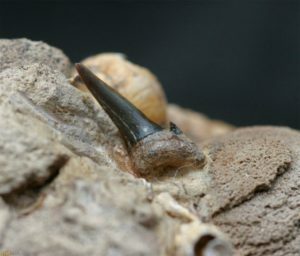 The Sternberger Geschiebe has a upper Oligocene age, so it is approximately 26 to 28 Ma old. The sediments have been set in a shallow marine environment with a water depth of about 30 to 100 meter. According to SUHR & BRAASCH, 1991 they are related to storm events. Sometimes the Steinberger has even a conglomeratic character. Even emended pieces of Baltic Amber are known. In the later Pleistocene glaciations these sediments have been eroded and redeposit in the lose sediments. 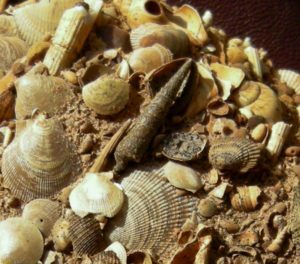 For the fossil collector are the servile cm strong mollusc lumachella in the brown sandstones of special interest. 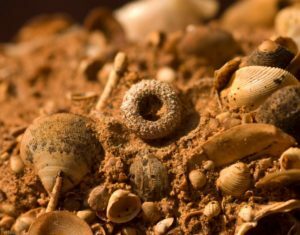 Those provide a especially rich and mostly well preserved Shells and snails fauna. 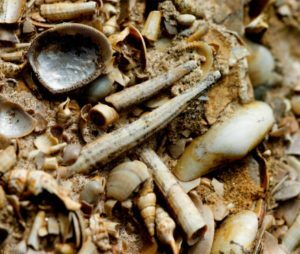 But also rare fossil shark teeth, Crustaceans, Corals and bryozoans along with Echinoderm. 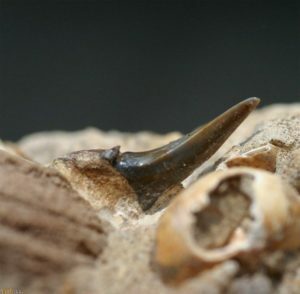 Even the remains of larger vertebrate fossils like turtles or whales are known from the Sternberger. 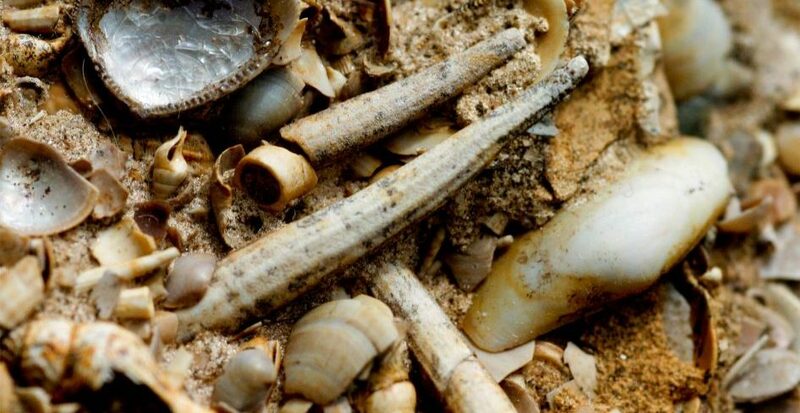 In a period of about 300 years are more then 600 different species are been described in the literature. 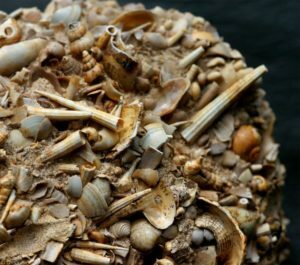 This makes the “Sternberger cake” a tasty speciality for collectors of fossils.